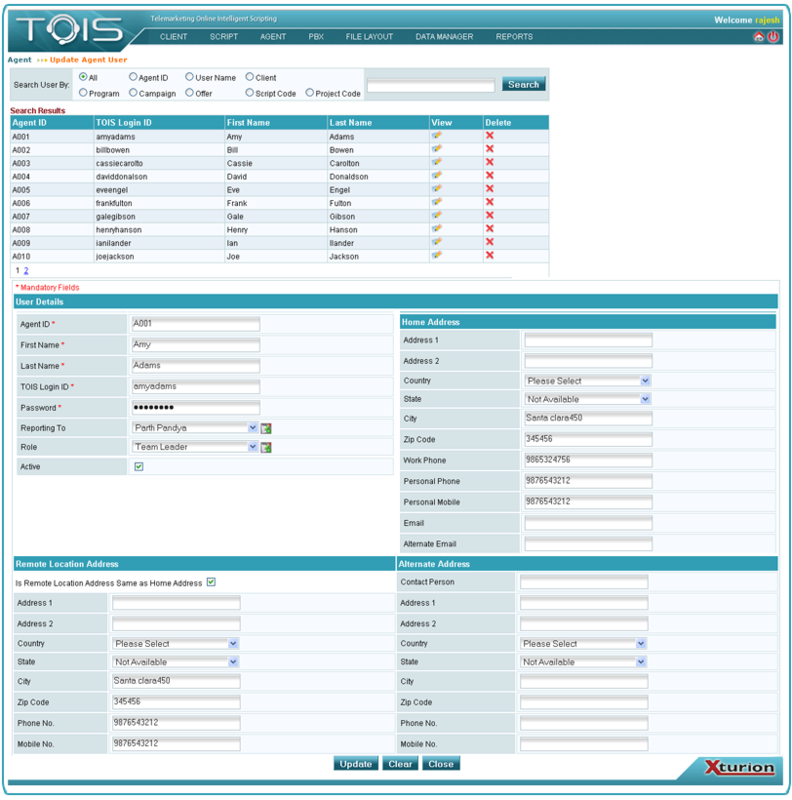 The Agent module in TOIS enables users to create and update agents, assign agent groups, input campaign costs, manage agent groups, activate and deactivate agent groups. 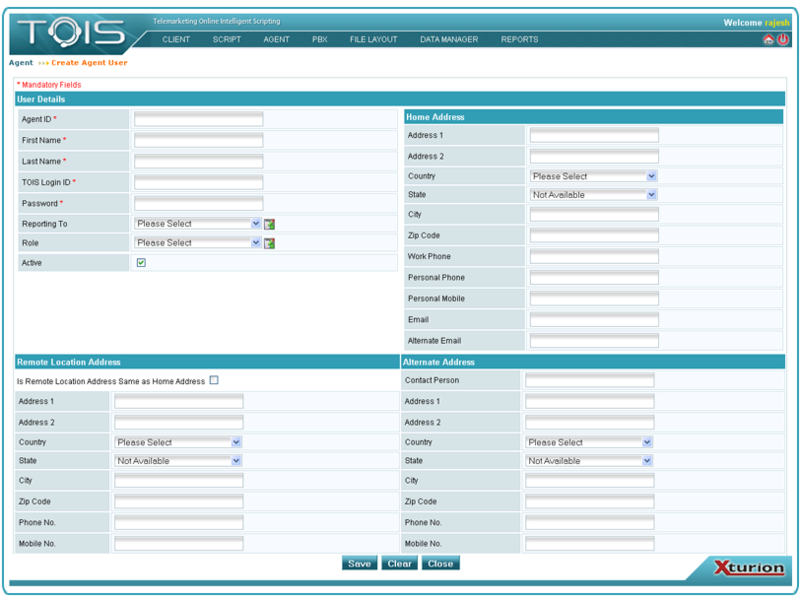 The create and update agents function allows user to set up and manage individual agents. The new agent group function enables users to map agents to one or multiple clients name or rename the agent groups. The assign agent group function enables users to assign agent groups to specific clients, programs, campaigns, offers, and script codes. The agent groups can be edited or deleted. The campaign costs function allows users to input per minute rates and agent commissions for each agent group. The manage agent group function allows users to view, add, or remove agents from any agent group. Agent groups can be activated and deactivated based on client requirements.